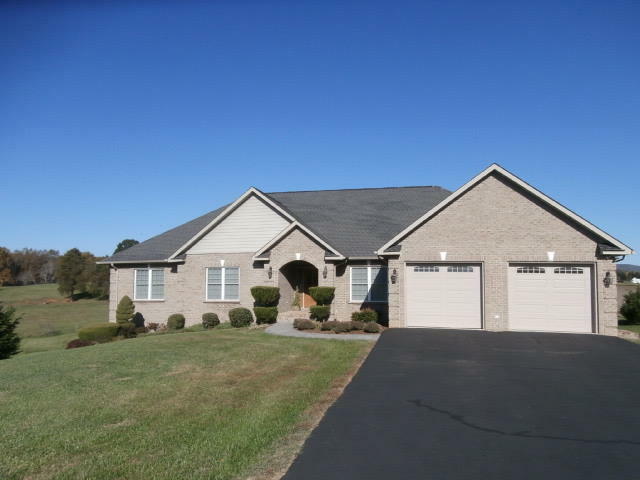 ALL BRICK RANCH-6BR/3BA(Possible In-law qtrs!) FANTASTIC VIEWS of the Cahas Mtns! Open floor plan w/HDWD floors, breakfast nook, island, granite counter tops, stainless appliances! Entry level Master Ste, Trey ceiling, marble floor in bath, tiled shower, jetted tub, walk-in closet. Newly finished ALL SEASONS room. Open Trekk deck. Nicely finished LL w/ wet bar. 2nd Master, 6th BR, large Family room. LOTS of NATURAL LIGHT w/ French doors onto patio. New storage room, over-sized 2 car garage (Newly painted and coated concrete w/tread). Only Minutes to Roanoke/Rocky Mt!